All-in-one video converter/editor online downloader video, slideshow maker. 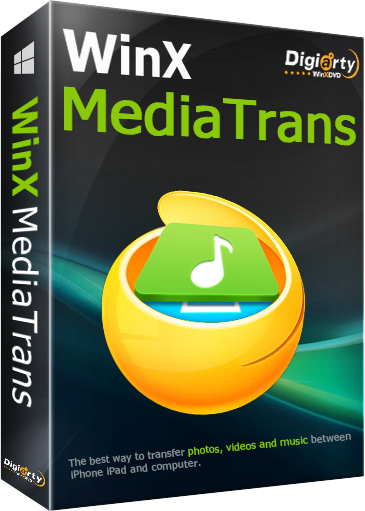 WinX HD Video Converter Deluxe este un perfect multimedia combinație de online video downloader de muzică, video converter/editor și slideshow maker, care vă oferă opțiuni flexibile pentru a descărca, converti, edita orice clipuri video de la o aventură sau separat. De asemenea, este primul și cel mai rapid software-ul pentru a converti/download video 4K, Multi-track HD și clipuri video generale prin utilizarea sa unică Hyper-threading, tehnologie și hardware accelerator. Până acum, 410+ profile și 370+ video și audio codec-uri au fost adăugate la acest program pentru a satisface utilizatorii mai noi video bucurie cereri. Între timp, WinX continuu îmbunătățește sale de bază de conversie, de Înaltă Calitate și De-interlacing Motor pentru a maximiza video de ieșire audio rezultatele. Crea slideshow vacanță clipuri video într-un cârlig, extrage audio sau coloana sonora din filmele originale. Ofertă exclusivă: Giveaway versiune nu are suport pentru actualizări gratuite. Utilizatorii GOTD obține o șansă de a câștiga o Versiune Completă cu actualizări Gratuite pe Viață. Obține Licență de Upgrade pentru $0. Conversia de casă și comerciale Dvd la AVI, MP4, H. 264, WMV, MOV, FLV, iPhone, iPad, iPod, Apple TV, PSP, toate dispozitivele Android și tablete. Copia titlul complet/conținutul principal al DVD MPEG2 în termen de 5 minute. Clonă 1:1 disc DVD în imagine ISO. 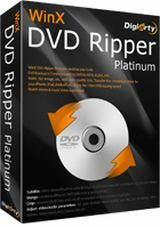 Actualizează continuu pentru a sprijini cele mai recente protecții DVD. Indispensabil pentru iPhone/iPad/iPod manager de fișiere, de transfer și de conversie. Transferați muzică, clipuri video, cărți electronice, etc. intre iDevice-uri si PC; muzica; export 4K fotografii/clipuri video pentru a elibera mai mult spațiu; auto detecta și de a converti iOS-neacceptat clipuri video și muzică, pentru a Crea ton de apel, de a gestiona Note Vocale; utilizarea iDevice-uri USB. Happy Easter 2017! In celebration of this festival, we are happy to present the latest version of WinX HD Video Converter Deluxe to all your guys as holiday gift. More surprisingly, you can free get a licensed copy of this program from Digiarty official page until Apr.21. 1. Download this program from GOTD. 3. Click "Get Giveaway Version" button, you can easily see license code. An auto “Check for update” wizard will pop up to tell you which version you are using when you launch this program for the first time. Please click "Cancel" to close it if you want to continue to use Giveaway version which does not support free upgrade. Thanks , i downloaded the copy from https://www.winxdvd.com/hd-video-converter-deluxe/ and it installed correctly. I then used the registration code generated on the link and all is working fine . Oligo coco, Thanks , i downloaded the copy from https://www.winxdvd.com/hd-video-converter-deluxe/ and it installed correctly. I then used the registration code generated on the link and all is working fine . from like over a year and half ago, When I purchased this program full license thru GOTD offer. or any good video and audio enhancement features, no video audio Fade out option,sorry, but no features that really stand out at all from all the rest. and starts opening several multiple screens on pc, so have to kill and restart pc each time. The output quality on my trimmed youtube files, are just okay, still not better than w-share or similar programs. How about some tooltips for all the User Interface buttons, i.e. explanation of what the buttons do when you hover the mouse pointer over them. Downloaded , Installed, and activated with no problems on my Win10 x64 machine using Edge as the browser. Have tried this before but never kept it. Am not impressed with this version either to tell you the truth. Pretty much if you want to download anything but youtube you're out of luck. There's literally millions of converters out there so I wanted the downloader to work as it just makes things easier. You know, download and convert at the same time instead of download with one program then convert with another. This appears to have an EXTREMELY limited range of sites it works on so I'll pass on it (again). If you're looking for a downloader/converter that works just about everywhere try Allasoft. It was given away here a few months ago and it works literally everywhere. Think if you buy it outright its on $12.00, or was the last time I looked but that may have been a sale. As I said earlier, todays GOTD offering is decent enough I guess, sure hate to slam ANY software that lets you try the "Pro" version for free, but due to its very limited downloading ability its not for everyone. Sadly that includes me. Uninstalled using Revo and it left only limited remnants so I guess that's another "plus" for this. Downloaded , Installed, and activated with no problems on my Win10 x64 machine using Edge as the browser. Have tried this before but never kept it. Am not impressed with this version either to tell you the truth. Pretty much if you want to download anything but youtube you're out of luck. There's literally millions of converters out there so I wanted the downloader to work as it just makes things easier. You know, download and convert at the same time instead of download with one program then convert with another. This appears to have an EXTREMELY limited range of sites it works on so I'll pass on it (again). If you're looking for a downloader/converter that works just about everywhere try Allasoft. It was given away here a few months ago and it works literally everywhere. Think if you buy it outright its on $12.00, or was the last time I looked but that may have been a sale. As I said earlier, todays GOTD offering is decent enough I guess, sure hate to slam ANY software that lets you try the "Pro" version for free, but due to its very limited downloading ability its not for everyone. Sadly that includes me. Uninstalled using Revo and it left only limited remnants so I guess that's another "plus" for this.